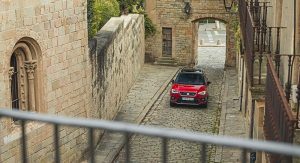 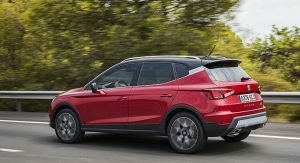 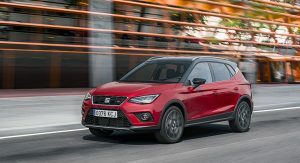 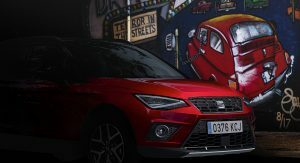 Seat has extended its CNG-powered family beyond the Mii, Ibiza and Leon with the new Arona TGI. 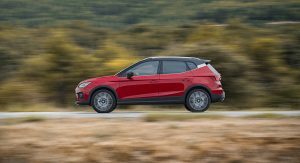 Set to premiere at the 2018 Paris Auto Show next week, it’s described as “the first SUV worldwide to be equipped with a compressed natural gas powertrain”. 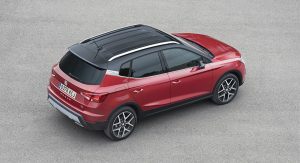 Power comes from a 1.0-liter three-cylinder engine rated at 90 PS (89 hp / 66 kW) and 160 Nm (118 lb-ft) of torque. 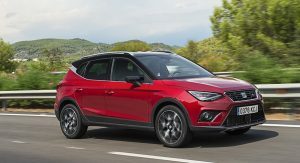 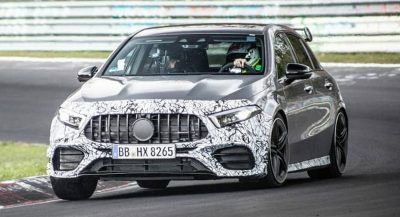 It works in conjunction with a six-speed manual transmission and allows the subcompact crossover to complete the 0-100 km/h (0-62 mph) acceleration in 12.8 seconds, and hit a top speed of 172 km/h (107 mph). 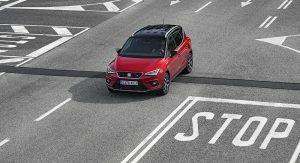 The total range of the car in CNG mode is 400 km (249 miles), and the automatic switch to petrol that happens when the gas tanks are empty gives it another 160 km (99 miles). 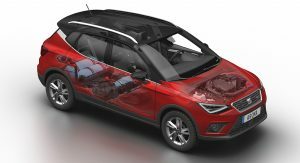 SEAT says the three CNG tanks are located under a specific rear floor pan, and the filler cap is located next to the petrol one. 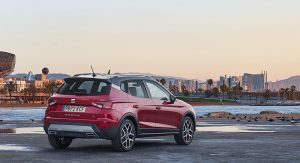 Controlling the gas distribution to the TGI engine are stainless steel gas pipes, gas pressure sensors and electronic pressure regulator. 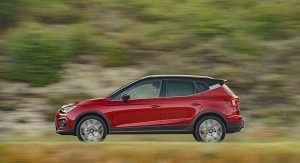 The CNG-powered version of the Arona automatically starts the engine with petrol when the exterior temperature falls below -10C (14F). 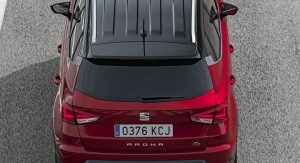 Subsequently, the system starts a heating process for the gas injectors, and when conditions allow it, the CNG circuit is being activated. 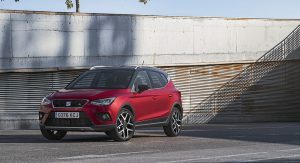 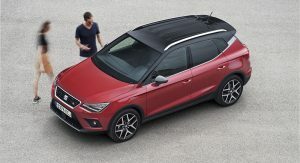 The 2019 Arona TGI will be available in the Reference, Style, Xcellence and FR trim levels, with customers having to choose between 68 possible color combinations. 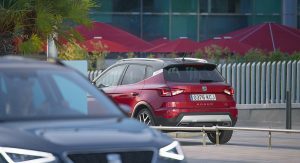 Surely this car makes little to no sense at all to own?